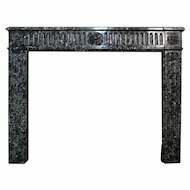 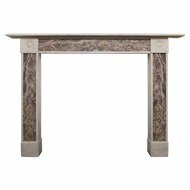 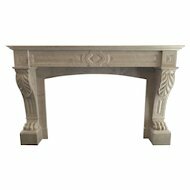 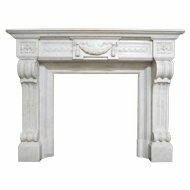 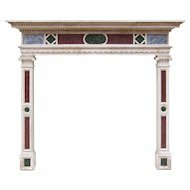 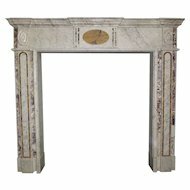 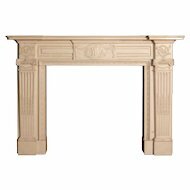 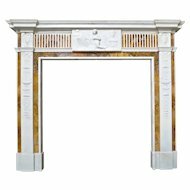 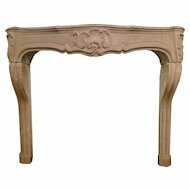 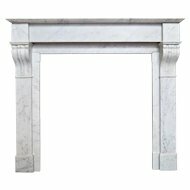 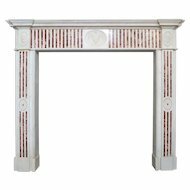 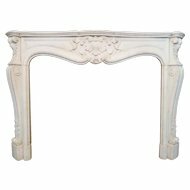 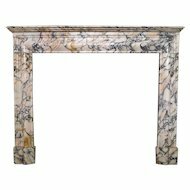 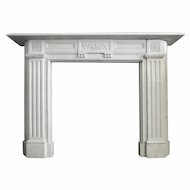 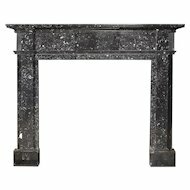 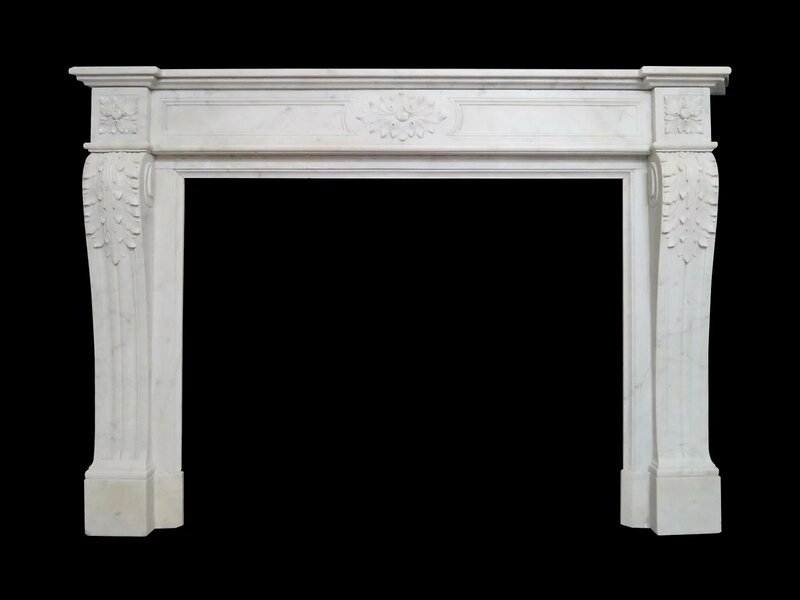 A 19th century Louis XVI style fireplace in Italian Carrara marble. 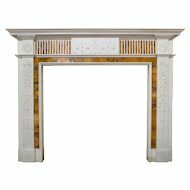 The frieze with carved oval patarae to centre with fielded panels on either side. 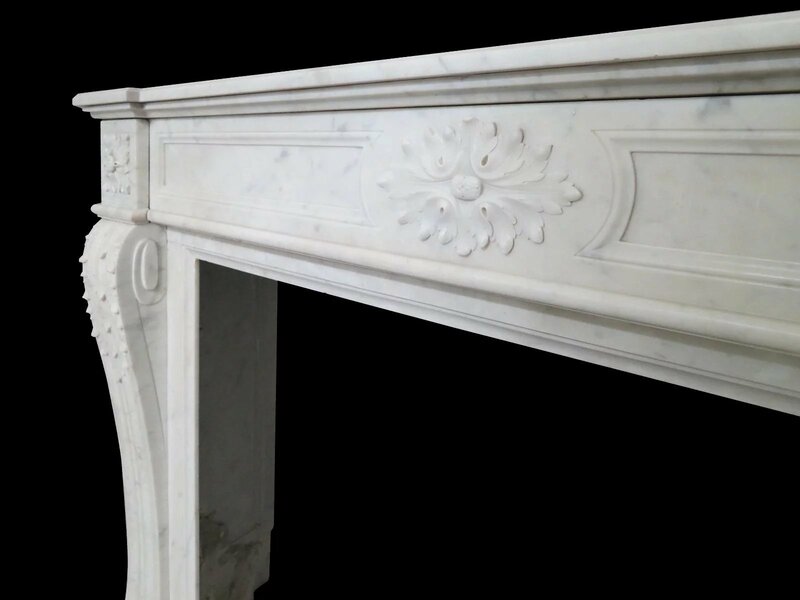 The end blocks again of carved patarae atop acanthus leaf carving on console shaped jambs. 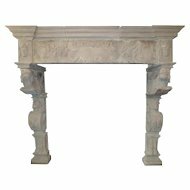 Having moulded inner slips and all beneath a wide break front shelf. 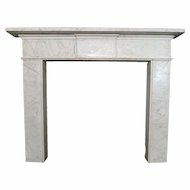 Opening sizes 104cm W x 84cm H.